Every year more than 2 million older Americans experience a fragility fracture to the hip, spine or wrist. Usually the result of a fall from standing height or less, fragility fractures stem from underlying bone deterioration. 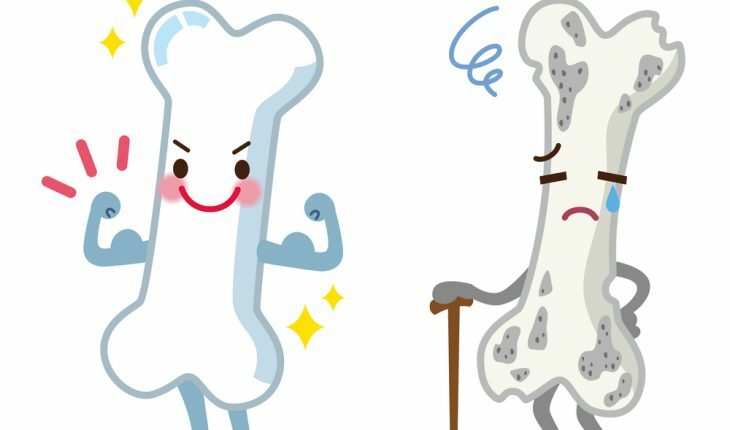 Loss of bone mineral density (BMD) – the condition known as osteoporosis – is one way bones can become fragile, and screening patients for osteoporosis is the current standard for determining fracture risk in older adults. However, low bone mineral density is not the only cause of bone fragility, and the majority of older adults who sustain a fragility fracture do not meet the diagnostic criteria for osteoporosis. Physicians currently lack validated means of assessing fracture risk in these patients. In the largest prospective study of its kind, researchers from Beth Israel Deaconess Medical Center (BIDMC) and the Institute for Aging Research at Hebrew SeniorLife used high-resolution tomography imaging to assess whether other bone characteristics besides bone mineral density can be used to determine fracture risk. The team found that assessing the microstructure of the two different types of bone tissues – compact bone and spongy bone – may be useful to predict the incidence of fragility fractures in those who would not otherwise be identified as at risk. The study is published today in The Lancet Diabetes and Endocrinology. The multi-national study included more than 7,000 older women and men from five North American and European countries. Participants – eight research cohorts at the Mayo Clinic, the Framingham Study in Massachusetts and sites in France, Canada, Switzerland and Sweden that comprise the Bone Microarchitecture International Consortium – underwent scanning measurements of the bones of the arms and legs. While just eight percent of participants met the diagnostic criteria for osteoporosis, 11 percent of participants experienced a fracture. Those who experienced fracture were more likely to be older, female, have a lower BMI, use osteoporosis medications and have a previous fracture. Participants who sustained fractures had worse bone measurements for nearly all parameters compared to those who did not fracture. The scientists’ analysis demonstrated that several measures of bone density and structure at different sites on the bone – including the density of the compact bone tissue and the thickness of the spongy bone tissue at the wrist – were predictive of fracture. Failure load, the stress under which bone begins to fracture, was the bone characteristic most strongly associated with risk of fracture. This work was supported by the National Institutes of Health (NIH) (National Institute of Arthritis Musculoskeletal and Skin Diseases [NIAMS], R01AR061445; National Heart, Lung and Blood Institute [NHLBI] Framingham Heart Study, Contract No. N01-HC-25195, (HHSN268201500001I). Additional support was provided by Friends of Hebrew SeniorLife and a research grant from the Investigator Initiated Studies Program of Merck Sharp & Dohme.